Variable products are a product type that lets you offer a set of variations on a product, with control over prices, stock, image and more for each variation. They can be used for a product like a shirt, where you can offer a large, medium and small and in different colors. 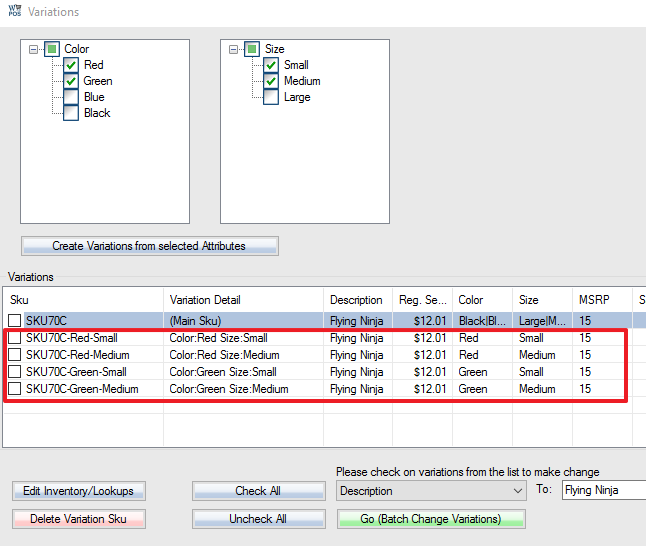 To add variation Skus, first, add attributes with For Variation checked on. Use Add New Option button on the right side to add new options for the attribute. Then, create an attribute set and add the attributes to the group in the set. 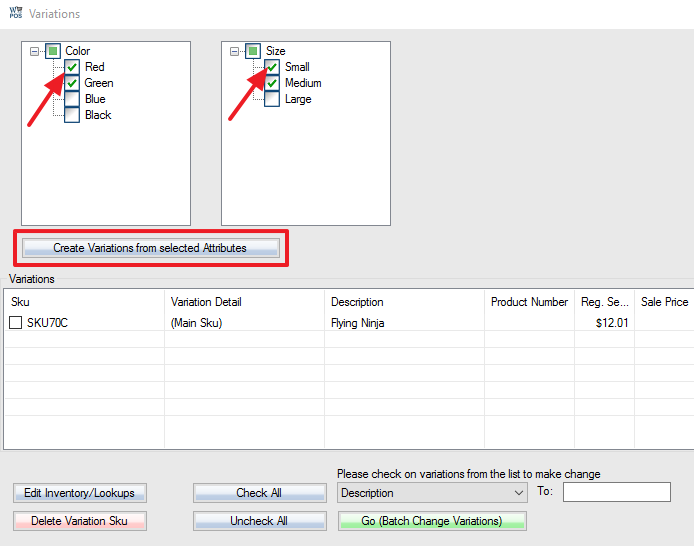 In Skus Info Tab, select the attribute set with variation attribute(s). Click the Variation button. The variation window will pop up. Select the attribute option values to create variations. Click the Create Variations from selected Attributes button. The variations have been created. To make changes to variation Skus, click here.